– Darryl S. Wong, M.D. 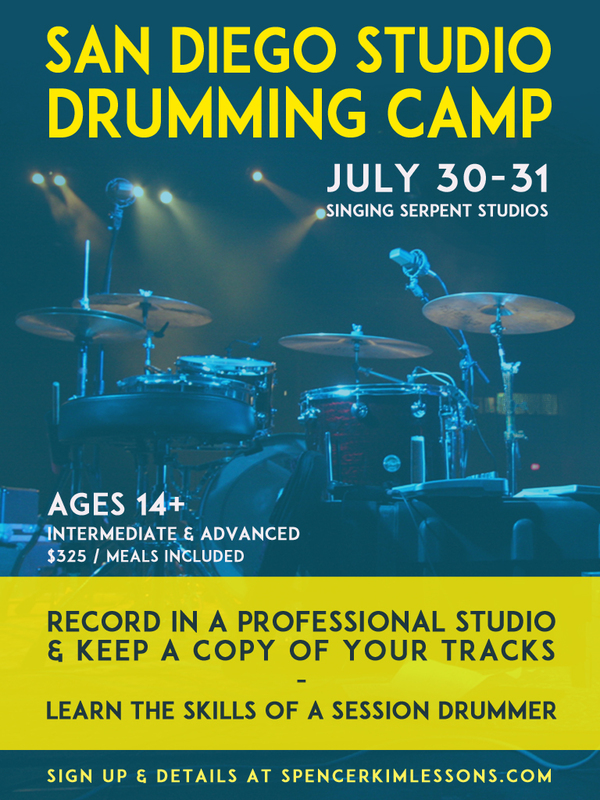 I’m thrilled to be hosting my first drum camp. Earlier this year, my band, The Eagle and Child, was recording our next album, and I had a handful of my students sit in and watch for part of the time. Not only was this special for me as a teacher, but it was exciting to hear the feedback— specifically that it inspired a couple of them to want to pursue careers in music. It was something that I identified with because I was in their shoes early on in my drumming years, and it is humbling to be a part of something that could have impacted the course of someone’s life in a similar way! The idea behind the camp is to give drummers an inside look of what the studio drumming experience is like. Recording along to tunes and listening back is such a gamechanger for any musician, as it shows your strengths and weaknesses as clear as day. For that reason, each drummer will have multiple opportunities to record songs and listen back together. 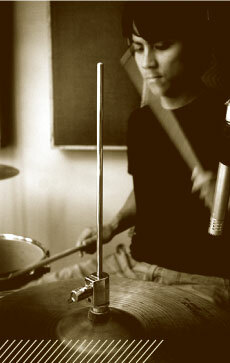 We will also go over studio drumming tips, talk about tuning and miking drums, and the audio mixing process. A professional studio engineer will be joining us and sharing insights as well. Each drummer will receive a copy of the tracks they recorded. Being in the studio for the first time is a surreal mix of amazement, awe, nervousness, and feeling very exposed, and I would have loved to attend this type of camp myself. Therefore, I want this to be an experience where every drummer in our small group is in this together—learning together, making mistakes together, and having a ton of fun in a low pressure environment. Singing Serpent Studios is located in Kensington near Mission Valley. It is a professional recording studio. The beauty is that you will be recording at a “real deal” studio, all while being in a setting where there is minimal pressure. We will get to sit in the control room together, take turns recording in the tracking room, and have teaching sessions in both rooms. You choose whether to be a part of the AM OR the PM camp. The AM camp will meet both days from 9 AM - 2 PM The PM camp will meet both days from 3 PM - 8 PM. Drummers with intermediate to advanced skill levels are welcome. Most importantly, you need to be reasonably comfortable playing along to recorded tunes, as well as to a metronome. $325, which includes one meal per day. A non-refundable deposit of $150 is required to secure your spot, payable by personal check, Venmo App (@Spents) or Cash App ($spents). First come, first served. Space is limited. AM Camp will have lunch provided, and PM Camp will have dinner. Please bring sticks, practice pad, notebook, pen, closable water, and non-messy snacks. Welcome to Spencer Kim’s lessons! Spencer Kim is one of San Diego’s most in-demand drummers, trained at Musicians Institute in Los Angeles, with more than 12 years of professional experience. Spencer's drumming has literally taken him across the globe and he has been featured on over a dozen albums, as well as television programs such as Grey's Anatomy, Oprah's The Big Give, If You Really Knew ME, Wildfire, Hyundai Auto commercials, as well as the feature film Walking On Water. 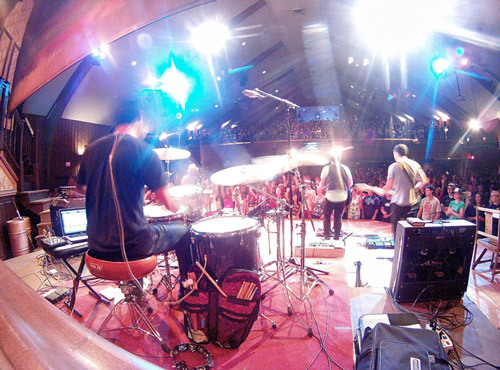 Performances and recording credits include national touring artists such as: Leeland, Sara Groves, Brenton Brown, Future of Forestry, Bethany Dillon, We Shot The Moon, Evan Wickham, Trevor Davis (The Voice), The Eagle and Child, and many more. He has taught in multiple lesson studios in California, as well as music conferences, workshops, music camps, group classes and countless private lessons. Students as young as 6 are accepted! Spencer’s unique teaching style has consistently brought great results for his students. Some of which, having started with no knowledge of the drums, have gone on to perform at venues like the House of Blues, join school jazz bands, and play on worship teams.